Individuals that hold or are applying for a security clearance often come to us to discuss a document the receive known as a Statement of Reasons or (SOR). SORs can be issued to federal employees or government contractors. For federal agencies that use SORs (most agencies use this title or use a similar variation) they come in a fairly standard format. The SOR is the key document to analyze when attempting to reverse or avoid adverse security clearance decisions. The SOR is the document which lists the security concerns that the government has with granting or allowing an individual to keep their security clearance. In essence, the SOR is similar to other types of criminal and civil charges that individuals face on occasion, except the charges listed are based on security concerns instead of criminal or civil claims. Typically, for federal employees an SOR is issued following the development of a security clearance concern at their work location. The issue is then brought to a security officer or higher level supervisor and eventually to the agency’s central adjudication facility (CAF) or other adjudicator. a. As of June 2, 2017, you owe $45,000 to Bank of Ameritopia. You are delinquent in your payments and have been placed in collections since January 1, 2016.
b. As of June 2, 2017, you owe $2,315 to the Grove Howeowner’s Association. As of the date of this letter, the debt remains unpaid. c. You are indebted for $125 related to a medical account #126478. To date the debt remains unpaid. d. You are indebted for $315 related to a medical account #124509. To date the debt remains unpaid. Once an individual receives a Statement of Reasons, the key for a successful defense involves being able to successfully refute the factual allegations or to mitigate them. That process begins with hiring an attorney to assist the individual in their response. In the example above, the first step as an attorney might be to determine from the individual whether the allegations themselves are true, i.e. that the person actually has 4 unpaid debts in collection and the amounts involved. (it is often the case that mistakes are made in prepare SORs or that information is outdated). Next, if it is determined that the individual does in fact have 4 debts in collection, the next question as an attorney might be to find out what mitigating factors could be helpful in explaining why the person involved should still be granted a security clearance. To do this, one must review the Adjudicative Guidelines for Determining Eligibility for Access to Classified Information. For instance, there may be an argument that all of some of the debts at issue were disputed, that they have paid off the debts at issue or other mitigating factors exist. Another potential helpful factor might be whether or not the employee reported the debts to security officials ahead of time. Additionally, the Whole-Person Concept provides overall mitigation factors. The SOR is the cornerstone of any security clearance case for a federal employee or government contractor. Any security clearance defense case must begin with a comprehensive review of the SOR. From that point, an attorney can began to establish a strong defense for the client. 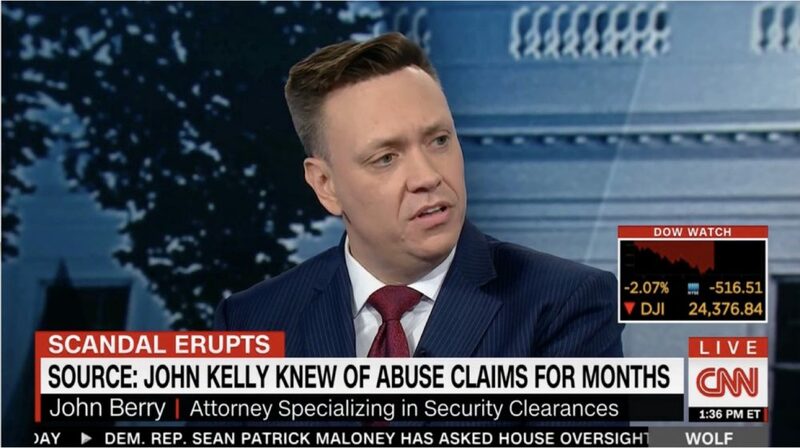 Security clearance cases are unique and require the advice and assistance of an attorney to provide the best opportunity to mitigate security concerns. Should you need assistance in security clearance matter, please contact us at (703) 668-0070 or through our contact page.